This session introduces the cohort, the program and the program facilitator. Expectations and group guidelines will be agreed upon. This session defines leadership, lays out participants' leadership vision, specifically incorporating their values, hopes and career ambitions in the context of the organization. Participants will conduct a leadership self-assessment and set goals. Unconscious biases women have about themselves are an invisible threat to women's careers. This module focuses on helping women recognize and overcome these limiting assumptions through case studies to improve decision-making and risk-taking. Within this context, the systemic biases that exist in the Real Estate industry will be discussed and participants will learn how to manage and overcome these barriers. Participants uncover and overcome resistance to self-promotion and understand the imposter syndrome. They learn how to increase visibility and how to build meaningful networking, mentoring, and sponsorship relationships to accelerate their career - and to model this behavior for their women colleagues. Participants further develop their presentation skills to communicate value, and practice having value-based conversations within and outside of their organizations. In this module, participants learn through case studies and experiential practice how to develop a pipeline of opportunities via networking, membership and events. Participants will develop skills to build referrals, identify trigger events, and win the business. This module introduces what makes a successful manager, opportunities for management within Real Estate, the importance of delegating and engaging within the team environment, and how to create an environment to cultivate collaboration and innovation. The final module pulls together the key learnings across the program to transform the participants from individual contributor to strategic business leader. Participants learn how to think and plan strategically, and look at their career with a bigger picture lens. Participants face their resistance to taking risks, getting support and develop a way-forward-plan to measure their progress. Participants also celebrate what they've learned and how they've developed in the program. 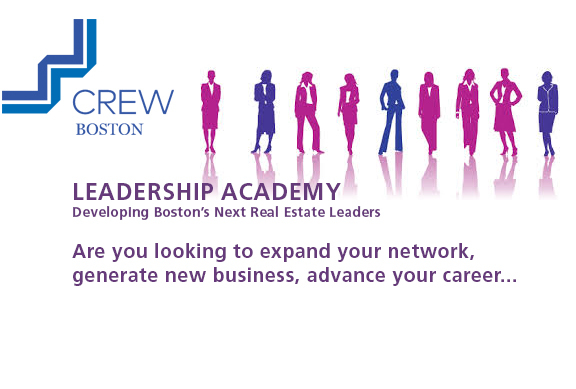 All classes will be held at Jones Lang LaSalle's offices, located at One Post Office Square, 26th Floor in Boston MA. Applicants should be professionals working in the commercial real estate industry who have demonstrated leadership within their organization, including managing small teams. Applicants should have 10-15 years of experience in commercial real estate, however, more or less experience will be considered if otherwise qualified. Applicants should be available for all sessions, as 100% attendance is required for the program. Applicants must have the desire to gain insights, and leadership skills, and also have a strong aspiration to positions of greater influence within their organization.